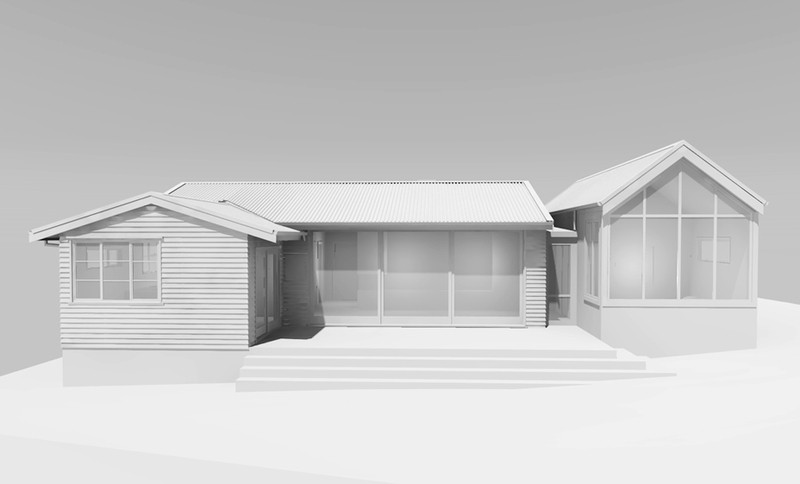 Our client approached us to extend this cottage in Orakei. While the house already has some lovely spatial qualities and sense of character, it is just too small to comfortably house the client’s now-teenage family. 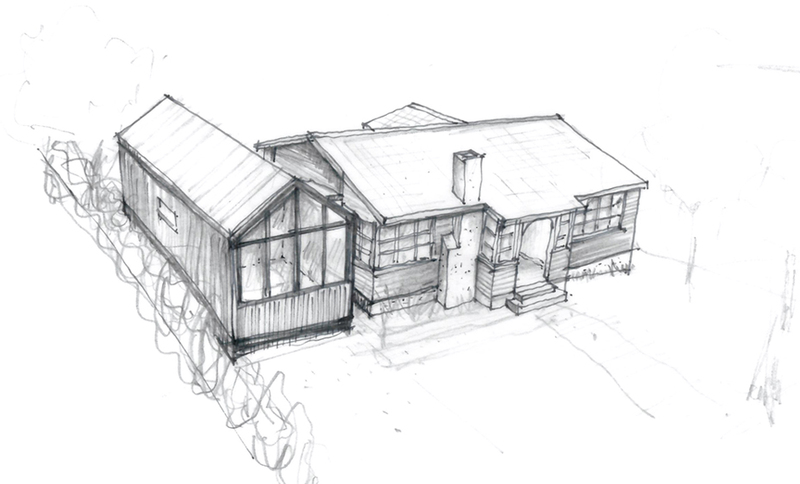 The proposed design centres on the addition of a new wing, which in plan balances out the existing house, while keeping very much in proportion to its restrained scale. This new wing will provide the client’s two teenage sons with larger, equal sized rooms to give them more of a sense of independence and ownership over their own space. The internal walls of the existing smaller bedrooms are removed to create a new light and airy north-facing living room at the heart of the home. This area opens right up to a new deck, creating easy flow outside to the rear yard. 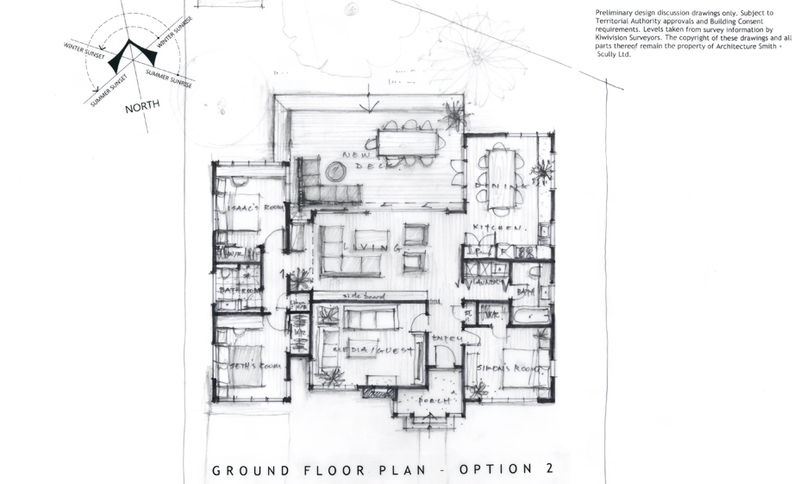 The rest of the planning pivots around the new central living space, with minimal intervention required in the remainder of the existing house, other than reconfiguring the bathroom and laundry areas to improve day-to-day functionality. The new gable roof form keeps the addition stylish and visually clean, and as economic as possible to construct and connect to the existing house. 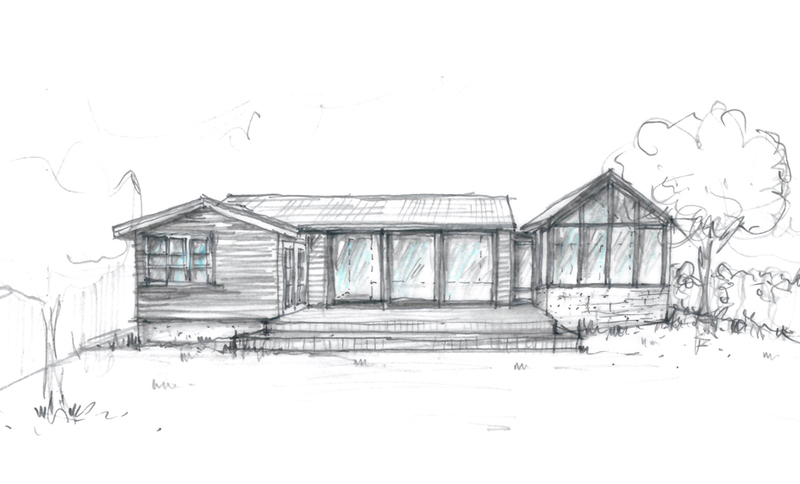 The new wing does not mimic the cottage’s historic character, yet through its complementary proportions sits comfortably alongside it. A necessary re-roofing of the existing house provides an opportunity to upgrade to a sleeker roofing material and tie the two halves of the house together. This project is currently in the developed design phase. 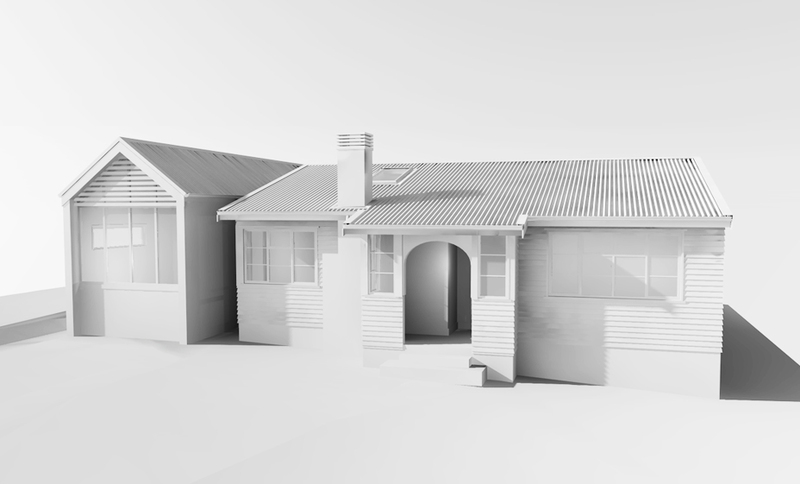 We look forward to taking this project forward, and helping our client expand their house to create a more spacious and comfortable family home.